Poster’s Note: One of the many under-appreciated aspects of NASA is the extent to which it publishes quality science content for children and Ph.D.’s alike. Your tax dollars help promote science! The following article was provided for reprinting by the Night Sky Network in March, 2019. 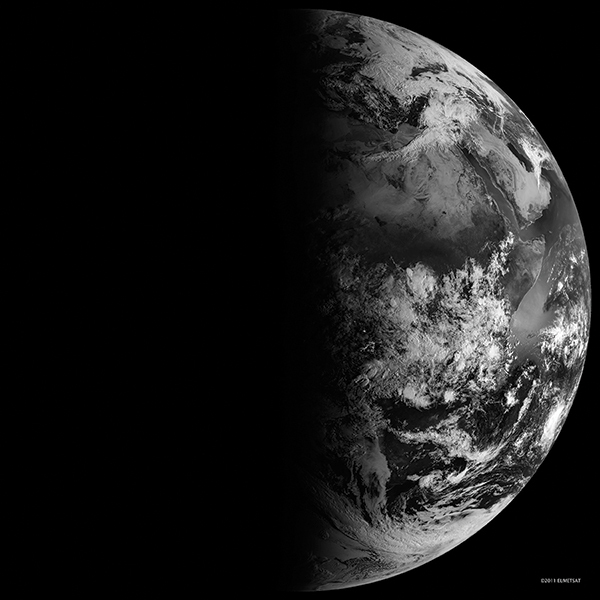 The vernal equinox occurs on March 20, marking the official beginning of spring for the Northern Hemisphere. Our Sun shines equally on the Northern and Southern Hemispheres during the moment of equinox, which is why the March and September equinoxes are the only times of the year when the Earth’s north and south poles are simultaneously lit by sunlight. Exacting astronomers will note that the length of day and night on the equinox are not precisely equal; the date when they are closest to equal depends on your latitude, and may occur a few days earlier or later than the equinox itself. One complicating factor is that the Sun isn’t a point light source, but a disc. Its edge is refracted by our atmosphere as it rises and sets, which adds several minutes of light to every day. The Sun doesn’t neatly wink on and off at sunrise and sunset like a light bulb, and so there isn’t a perfect split of day and night on the equinox – but it’s very close! Poster’s Note: One of the many under-appreciated aspects of NASA is the extent to which it publishes quality science content for children and Ph.D.’s alike. Your tax dollars help promote science! The following article was provided for reprinting by the Night Sky Network in January, 2019. Observers in the Americas are treated to an evening total lunar eclipse this month. 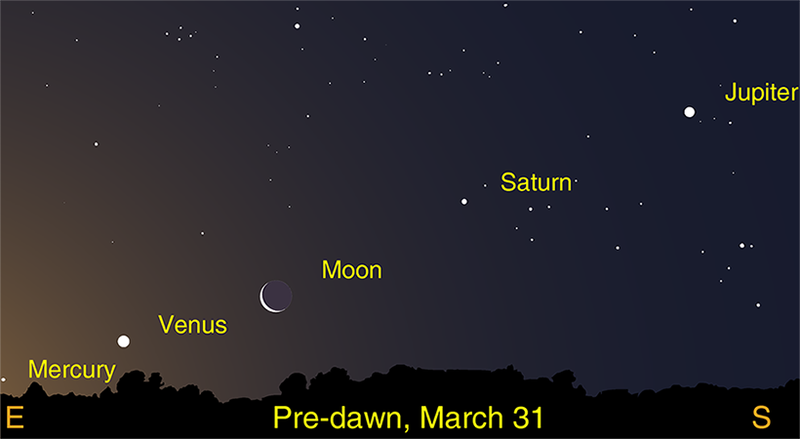 Early risers can spot some striking morning conjunctions between Venus, Jupiter, and the Moon late in January. A total lunar eclipse will occur on January 20th and be visible from start to finish for observers located in North and South America. This eclipse might be a treat for folks with early bedtimes; western observers can even watch the whole event before midnight. Lunar eclipses takes several hours to complete and are at their most impressive during total eclipse, or totality, when the Moon is completely enveloped by the umbra, the darkest part of Earth’s shadow. During totality the color of the Moon can change to a bright orange or red thanks to the sunlight bending through the Earth’s atmosphere – the same reason we see pink sunsets. The eclipse begins at 10:34 pm Eastern Standard Time, with totality beginning at 11:41 pm. The total eclipse lasts for slightly over an hour, ending at 12:43 am. The eclipse finishes when the Moon fully emerges from Earth’s shadow by 1:51 am. Convert these times to your own time zone to plan your own eclipse watching; for example, observers under Pacific Standard Time will see the eclipse start at 7:34 pm and end by 10:51 pm. Lunar eclipses offer observers a unique opportunity to judge how much the Moon’s glare can interfere with stargazing. On eclipse night the Moon will be in Cancer, a constellation made up of dim stars. How many stars you can see near the full Moon before or after the eclipse? How many stars can you see during the total eclipse? The difference may surprise you. During these observations, you may spot a fuzzy cloud of stars relatively close to the Moon; this is known as the “Beehive Cluster,” M44, or Praesepe. It’s an open cluster of stars thought to be about 600 million year old and a little under 600 light years distant. Praesepe looks fantastic through binoculars. Mars is visible in the evening and sets before midnight. It is still bright but has faded considerably since its closest approach to Earth last summer. 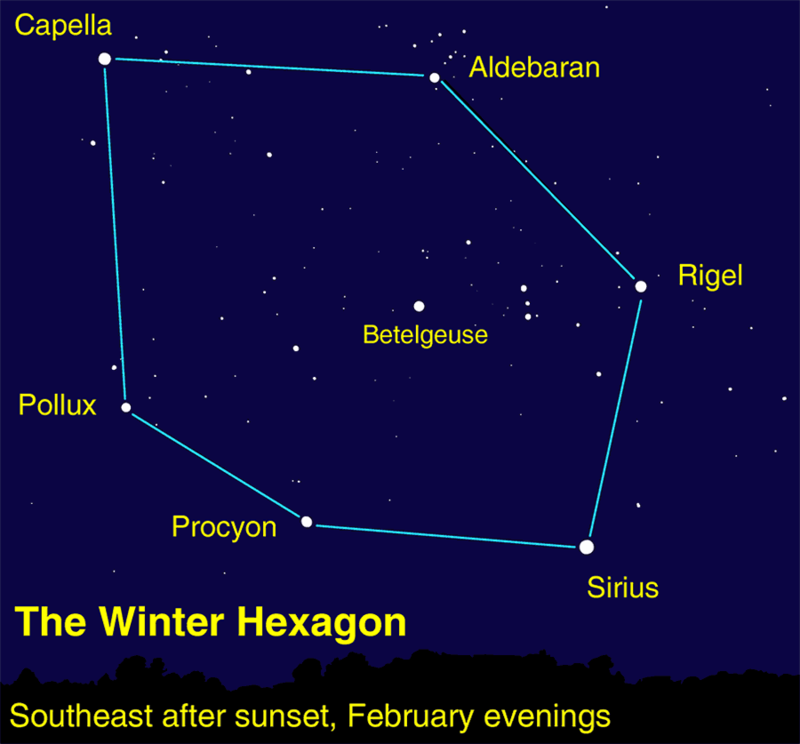 Watch the red planet travel through the constellation Pisces throughout January. Venus makes notable early morning appearances beside both Jupiter and the Moon later this month; make sure to get up about an hour before sunrise for the best views of these events. First, Venus and Jupiter approach each other during the third full week of January. Watch their conjunction on the 22nd, when the planets appear to pass just under 2 ½ degrees of each other. The next week, observe Venus in a close conjunction with a crescent Moon the morning of the 31st. 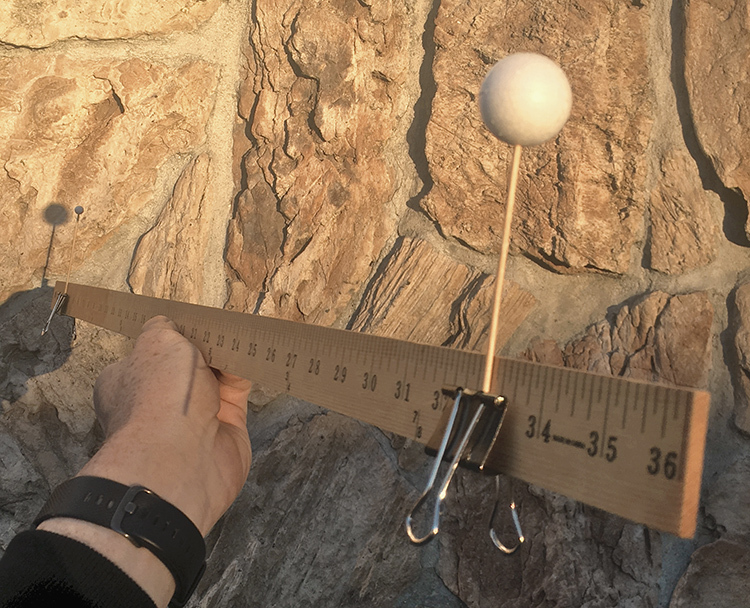 For many observers their closest pass – just over half a degree apart, or less than a thumb’s width held at arm’s length – will occur after sunrise. Since Venus and the Moon are so bright you may st1ill be able to spot them, even after sunrise. Have you ever seen Venus in the daytime? If you have missed Saturn this winter, watch for the ringed planet’s return by the end of the month, when it rises right before sunrise in Sagittarius. See if you can spot it after observing Venus’ conjunctions!